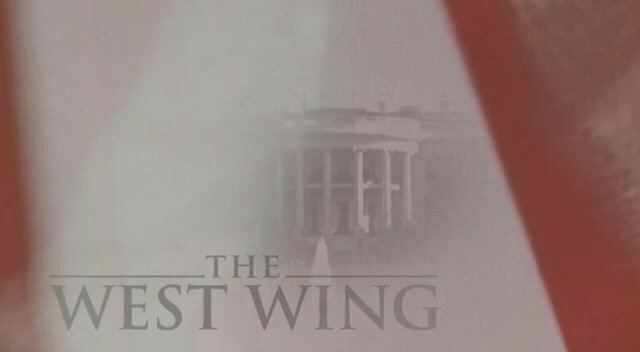 I am a big fan of the late, great, sorely-missed-by-me (but available incessantly on loads of cable stations near you) “West Wing” television show. I have always been a political junkie (too bad drug addicts got that word; it is such a good one). Genius writer/director Aaron Sorkin (his films include “American President” and “A Few Good Men”) created a show that could actually move me to tears (but then again, I am a sucker for feel-good stories). Script, acting, music, lighting (oh, the thoughtful, moody lighting! )… It all worked, like magic. It got huge ratings for years, for good reason. The West Wing TV show idealized everything good about politics for me. As a high school senior eons ago, I worked for Sen. Bobby Kennedy’s presidential campaign in San Francisco. He was my guy and his politics were my future. My plan was to attend Boalt Law School at U.C. Berkeley, go into politics, and become a US senator (like Senator Bobby). But then reality hit. I got a taste of politics as a student at Berkeley in the late 1960s and early 1970s. And I most certainly did not like the taste. It was sour—a frustrating and disillusioning experience. I was then, and I still am, a hopeless idealist. Like so many of us at that time, I wanted to work nobly for a cause I believed in. What I saw at Berkeley was not that—it was rough and crude, cynical and violent. I did not see how the ends—if we ever got there—could justify the means. I lost my love for politics, but my affections soon rebounded to education—where I hoped to change the world one child at a time… And that is where my heart has been, happily, ever since. So, when I got an invitation a few weeks ago from a friend of a friend to go on a special tour of the West Wing of the White House (which is ordinarily closed off to the public), my emotions soared like a school kid in love, and all the fond memories (and old dreams and remembrances of convictions) came flooding back. Really. For my whole life, I have always had a deep, deep, deep desire to tour that place. Jonathan was wrapped up more warmly than I. Smart kid. It was dreary out and we walked for a long time. I got completely disoriented. Where is the south lawn of the White House, I asked Jonathan? You are staring at it, he said, pointing through the black mist. Oh. We offered up our driver’s licenses at a gate, and waited in the cold for his friend, Ann, who works at the White House, to come get us. She would take us for the special “staff” tour of the West Wing. We passed through a tight security detail in a small office building, ducked out a back door into the bracing cold, and headed towards a well-lit building entrance amidst the darkness. The entrance turned out to be a side door to the West Wing of the White House. Here is where the President works in an office adjacent to the Oval Office and his top staff toil away in small rooms (nothing like the large windowed offices on the TV show). The West Wing is also where cabinet members gather for (largely) ceremonial meetings and the media hordes coagulate for press conferences. President Harry Truman once referred to the White House as a “glamorous prison.” I don’t know about that. But I do know how I felt. The White House is more than 200 years old. And you can tell. The areas I saw were beautiful, elegant, historic but also I must confess, kinda, sorry to say this, shabby. But also filled with history. I peaked into a large, wood-paneled room and saw iconic paintings of President Teddy Roosevelt on his rearing horse, President Washington in all sorts of stoic poses, and photos of President Obama with his family, heads of state, and otherwise famous people. What? You didn’t appreciate the taste of tear gas? Especially love your ‘inner’ adventure. Familiar. Great to have another shared heart/mind experience. ‘Look forward to more of your insightful (a)musings. So how did you end up petting Bo? Where did you run into him? Where were the Obamas? The Golden Globe Award winning Show The West Wing is a excellent show. Even it has received positive reviews from critics. And I like to watch the show. Your thoughts and insights are awesome. And it’s the first time i found a fellow West Wing fan. Wow.